To make sure you get the best deal we'll show you great prices from all of our drivers, including G.G.G Removals, if they're available on the day of your move. Have a question for G.G.G Removals? No problem, send them a message and they'll email you back as soon as possible. If you have a more general question you might find it answered in the FAQ, or you always contact one of our brilliant customer service team. * G.G.G Removals won't be able to see your email address. 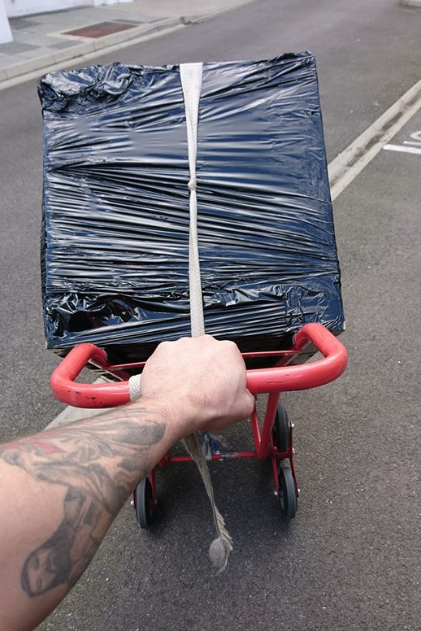 I'am a mover with plenty knowledge of the craft and always ready to help, stress free service, always having a good time while doing an amazing job!. Am Spanish, i speak fluent English, been doing this job for years, fully insured, and looking forward to get your calls/bookings! Gabby could not have been more helpful in helping us clear a big load of bits! He quotes by the job and not by the hour which is a huge positive! Lovely to hang with for the day and such a professional too. Wonderful servive. I ordered few timbers from a shop, he collected and delivered to my house while I was carrying on with other thing. Some of best money ever spent. Thank you very much! Professional, friendly and very efficient. This guy made everything go smoothly on what could have been a very stressful day, 100% reliable! I want to thank you very much to Gabi for helping us with moving. He is very kind, organised and helpful. I definitely recommend him. Great job, Gabby is good to work with, courteous and good humoured. Arrived on time, friendly and helpful. 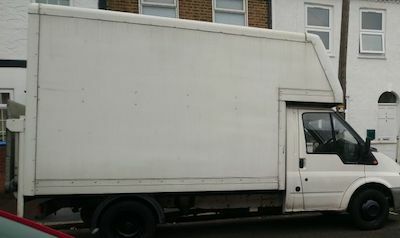 Good sized van, that more than suited our requirements. Very Efficient. The driver was very disrespectful. He kept complaining that he wanted to get home to eat and see his childre. He made the furniture dirty by dragging it along the wet dirty ground. Moving the fridge freezer out, he let the door drop onto a neighbour's car, causing a dent in the bonnet of the car. He pushed the furniture through the door so roughly he trapped and cut my hand. And also set the alarm off. It was a very distressing experience. The customer's father's house owns a handmade custom large shelving unit, making an angled cross with a narrow set of double doors, with a little alarm box between the doors. The sofa was previously introduced through a window (now that house will be redecorated again), my belief is that the customers' were giving away/selling that furniture and it has a particular shape in the back, in the area where your back rests when seated, making it impossible to take it out from the door, and there was no way to do so through the glazed windows. The customer had a finger pinched during the sofa 'up and down' 'please lift' etc. In one of those movements we activated the alarm, the customer called her father and he instructed her how to silence it. I was inside of the house, the customer was outside. I don't know why the alarm was not disarmed when we arrived! It was a rainy afternoon /night, am sorry if anything got a bit wet during the removal process from the door to the van, if I dragged furniture, it is on carpet or with a blanket underneath, unfortunately some of this information is vague. A door from a double door American fridge opened in the process of moving it from the house and touched a car bonnet, again it was raining, however, I was told it was a touch, not a dent (I was driving the trolley, the customer was 'holding it'?). The Bocsh dishwater was full of black water as the customer had not emptied the tank correctly, maybe water from there!? Never under any circumstances am I uneducated, or un-polite, I will argue that. 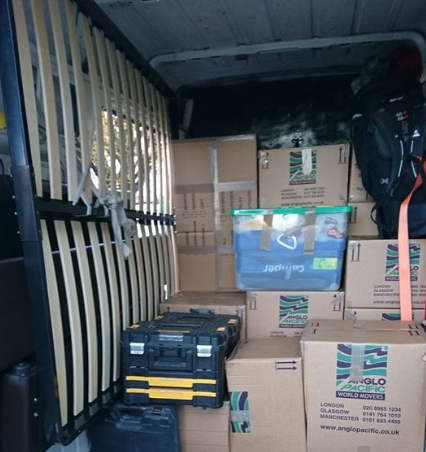 I am also sending you a photo of the back of the van with blankets, straps, ratchet ties, trolley, hand truck, tool boxes. Gaby was a really nice guy and would recommend him to friends and hire him again.